It’s been a year since I was last playing with the van conversion, so I’m just getting my head back into the project now the weather has recovered (he says as the rain is lashing at the window!). In a way the break has done me good, as I’ve had time over the winter to mull ideas over in my head. 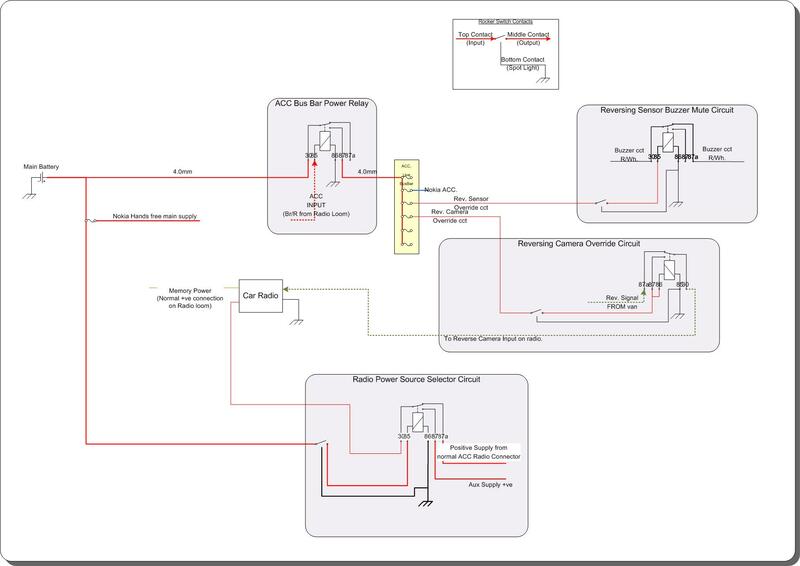 A bit of MS Visio work and out pops the latest wiring diagram for the van. I’ve laid out the wiring and components geographically within the van so to help get a feel of where things will be etc. The only change I can foresee is the DPDT changeover switch for the 240v input (top right of pic). Instead of a manual switch, the option is to have an automatic changeover unit called a contactor. This has been suggested by VWT4Forumite – Upspex.